two HDMI sources to a single output. Supports video resolutions up to 4K @ 60Hz 4:4:4. 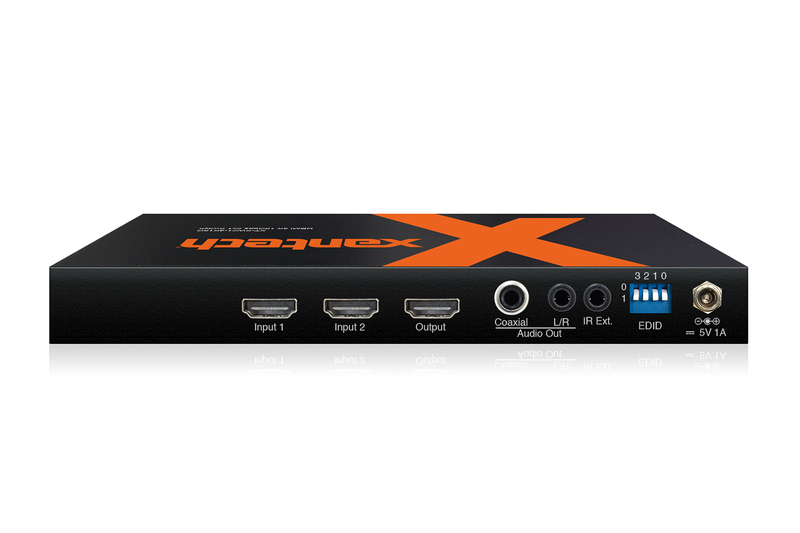 The XT-SW21-4K18G 4K HDMI 2.0 switcher distributes 2x HDMI sources to a single output. 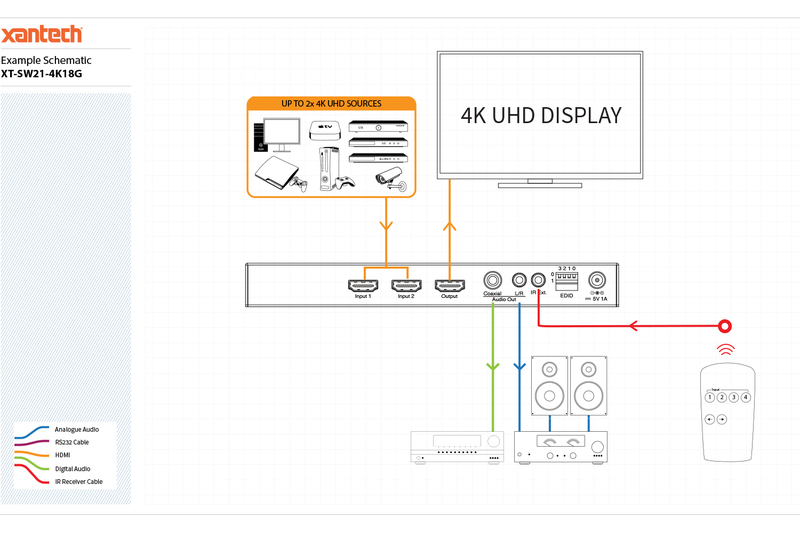 The switcher supports full HDMI 2.0 and HDCP 2.2 with video resolutions up to and including 4K @ 60Hz 4:4:4. 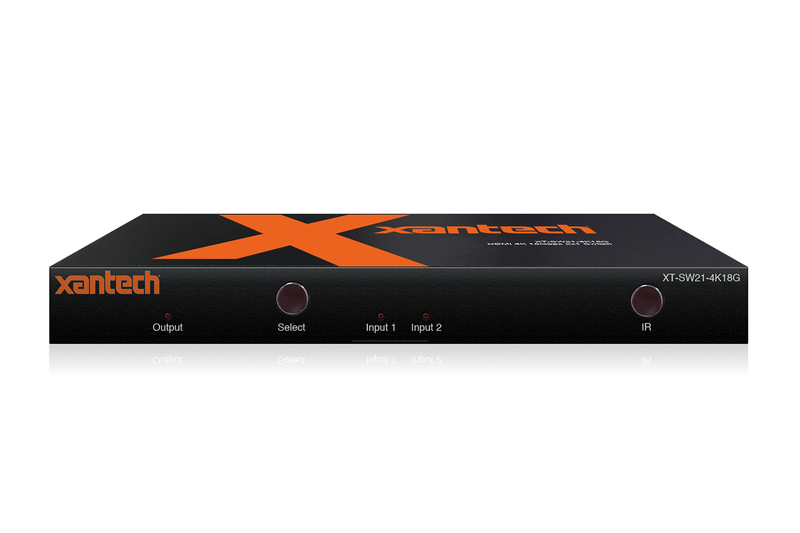 The 2-Way switcher also includes the advanced features of audio breakout, EDID management and RS-232 control for integration with third-party control systems.